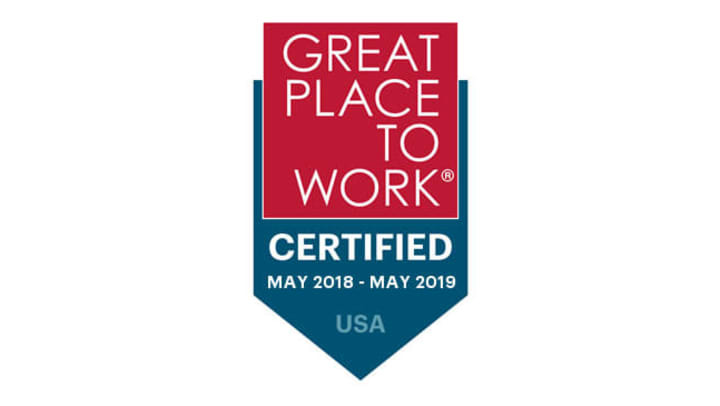 We are pleased to announce that Anthem Memory Care has been certified as a “great workplace” today by the independent analysts at Great Place to Work®. Anthem Memory Care communities earned this credential based on extensive ratings provided by its employees in anonymous surveys. A summary of these ratings can be found at http://reviews.greatplacetowork.com/anthem-memory-care. "We applaud Anthem Memory Care for seeking certification and releasing its employees' feedback," said Kim Peters, Executive Vice President of Great Place to Work's Certification Program. "These ratings measure its capacity to earn its own employees' trust and create a great workplace - critical metrics that anyone considering working for or doing business with Anthem Memory Care should take into account as an indicator of high performance." Anthem Memory Care employees completed 403 surveys, resulting in a 90 percent confidence level and a margin of error of ± 2.33.